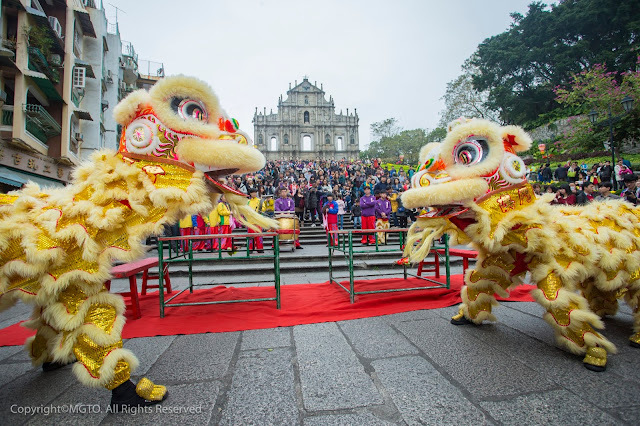 The Macao Government Tourism Office presents the “Parade for Celebration of the Year of the Pig” on the 3rd day (7thFebruary) and 6th day (10th February) of Lunar New Year to celebrate the joyful occasion the visitors. The event features a range of spectacular activities such as the float parade, large-scale performances, fireworks display, float exhibition and mobile phone game. MGTO makes continuous efforts to augment the scale and impact of local events and festivals, not only to attract visitors from a diversity of source markets but also to encourage enthusiastic participation among residents. Chinese New Year is the most important and colourful Chinese festival celebrated by the majority of the local population, where shops, offices, factories close for this traditional holiday during the month of February from 7th to 10th February 2019. 2019 is the Year of the Pig. Since the "Belt and Road" initiative was launched, Piggy would like to undertake an exchange trip to the countries along the route, to taste a variety of cuisines. Travelling through the scenery of different countries, tasting a wide variety of food, Piggy ate happily along his food tour and at the same time, Macao was designated as "Creative City of Gastronomy" by UNESCO. Piggy was proud of this and all that came into his mind was sweet and crispy Portuguese egg tarts, the east and west mixture of Macanese food, handmade almond cakes, etc. Piggy decided to return home for this festive season of the year and invited his new friends he met along the route to visit Macao with him, celebrating the Year of the Pig. Piggy’s mother was waiting at home for Piggy’s return and had already prepared 18 dishes of delicious food, to greet and treat Piggy and his friends! These 18 Chinese New Year dishes are filled with the family's thoughts on Piggy during his time away from home, specially added with a tasty and creative touch, delivering the blessing messages through the meaning of these dishes, to every resident and visitor, for happiness and good luck in the Year of the Pig!